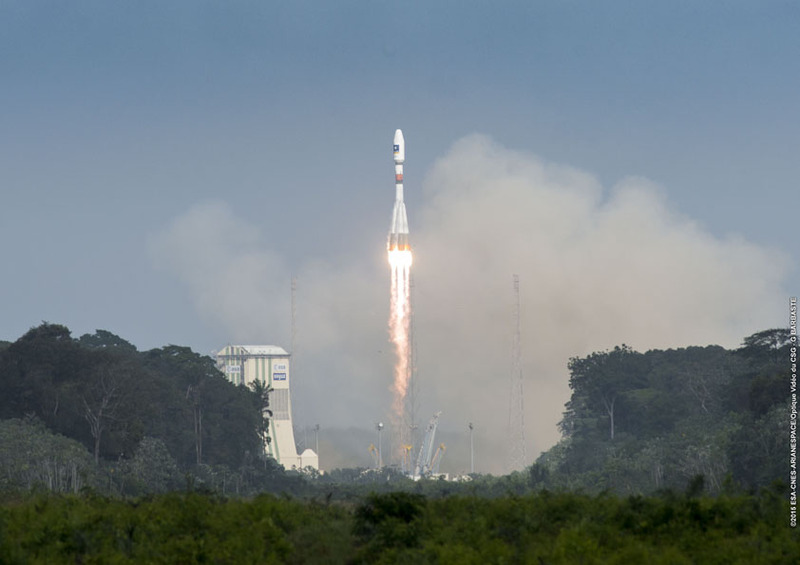 Arianespace will fit in a launch of a Soyuz rocket from French Guiana in May to deliver two more European Galileo navigation satellites to orbit, giving the French launch services firm 12 missions on its 2016 manifest, officials said Thursday. The Soyuz flight is currently scheduled for May 24 at 0848 GMT (4:48 a.m. EDT), putting the 13th and 14th members of the Galileo navigation network’s operational fleet into orbit. Four more Galileo spacecraft are set for liftoff on an Ariane 5 rocket in late 2016, a mission which was already scheduled on Arianespace’s manifest. 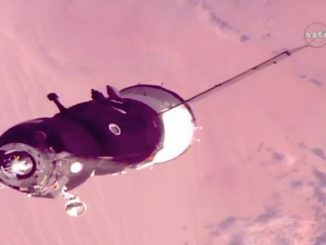 With the addition of the Soyuz launch, the six European navigation platforms launched this year will put the multibillion-dollar system over the halfway mark on its way to a fully operational strength of 30 satellites. Initial navigation services through the Galileo system, an analog to the U.S. military’s Global Positioning System, are due to begin this year. The European Commission, the EU’s executive body and owner of the Galileo system, decided to speed up the deployment of the navigation network, according to Arianespace. Arianespace said the additional launch is within the scope of the company’s contract with the European Space Agency, technical adviser and prime contractor for the Galileo program. ESA’s existing launch contract with Arianespace calls for three launches of the Ariane 5 rocket — each with four Galileo satellites — and one more Soyuz mission with two spacecraft. Before opting for a Soyuz launch in May, officials planned for the next Galileo launch to be aboard an Ariane 5 in October, followed by a Soyuz flight in early 2017. Now the Soyuz will come next, and the three Ariane 5 flights will fall in line beginning in late 2016. With the addition of the Soyuz mission in May, Arianespace plans 12 launches this year — eight Ariane 5s, two Soyuz and two flights of the light-class Vega launcher. The May launch will mark the 15th flight of Russia’s venerable Soyuz booster from the European-run spaceport in French Guiana. A Soyuz launch with Europe’s Sentinel 1B radar-equipped remote sensing satellite, part of the European Commission’s Copernicus Earth observation fleet, will come first from the Guiana Space Center. It is scheduled for liftoff April 22. 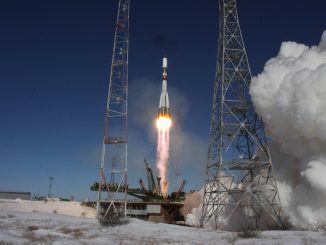 Of the 13 Soyuz flights to date from French Guiana, six have sent pairs of Galileo navigation satellites into orbit, beginning with the historic first Soyuz mission from the European spaceport in October 2011. 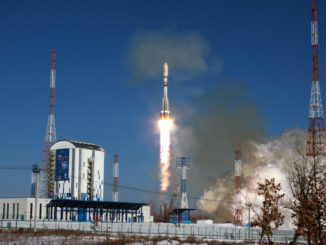 A mission in August 2014 deployed two Galileo satellites into an off-target orbit after a malfunction in the Soyuz rocket’s Fregat upper stage, but ESA officials say the spacecraft can be salvaged and will join the Galileo fleet, supporting most of their originally intended services. 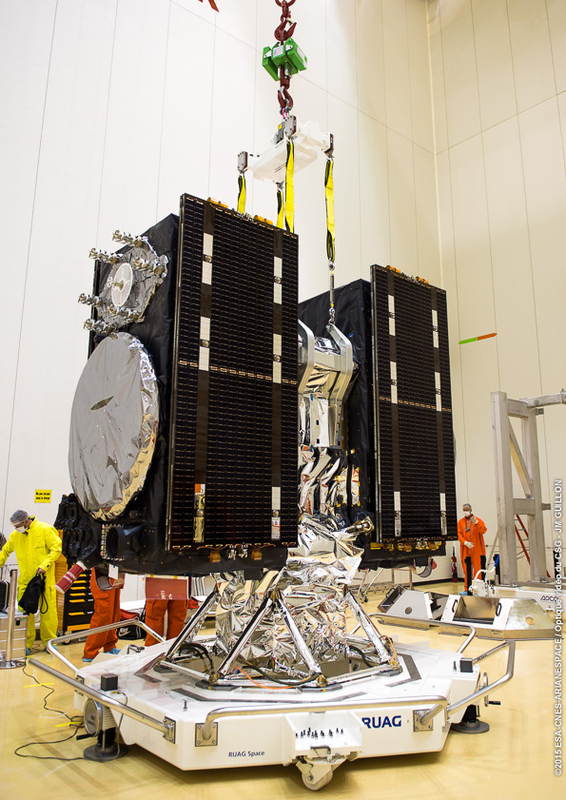 The Galileo satellites are built by OHB of Bremen, Germany, with navigation instrumentation made by Britain’s Surrey Satellite Technology Ltd. The Soyuz/Fregat will put the Galileo platforms in an orbit 23,500 kilometers (14,600 miles) above Earth.